Amber is an ancient Rajput fort and palace complex in north of Rajasthan, India. 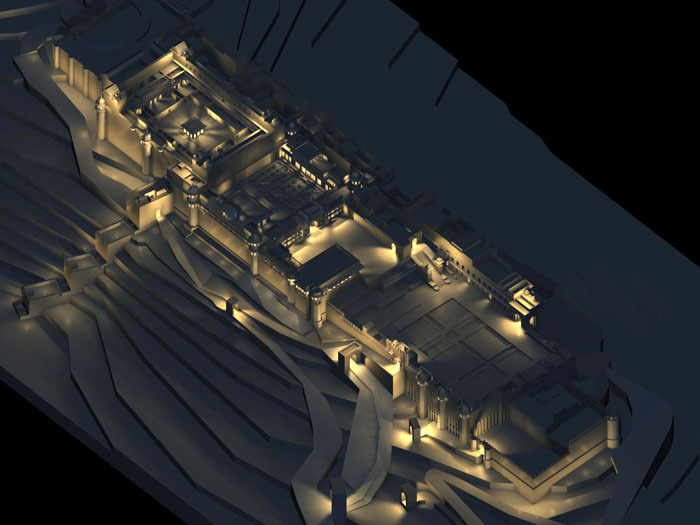 Mrs. Minakshi Jain and Arya Architects were hired for documentation, restoration and conservation planning for Amber fort (2006). Through documentation and damage reports were prepared over 6 months. In the second phase of the project, detailed reports were made for conservation and development. I was responsible for preparing 3D models for architectural analysis and proposals, illustrations and informative videos for future services.